The West Regional Model (WRM) is one of five models that comprise the Authority’s Regional Modelling System. 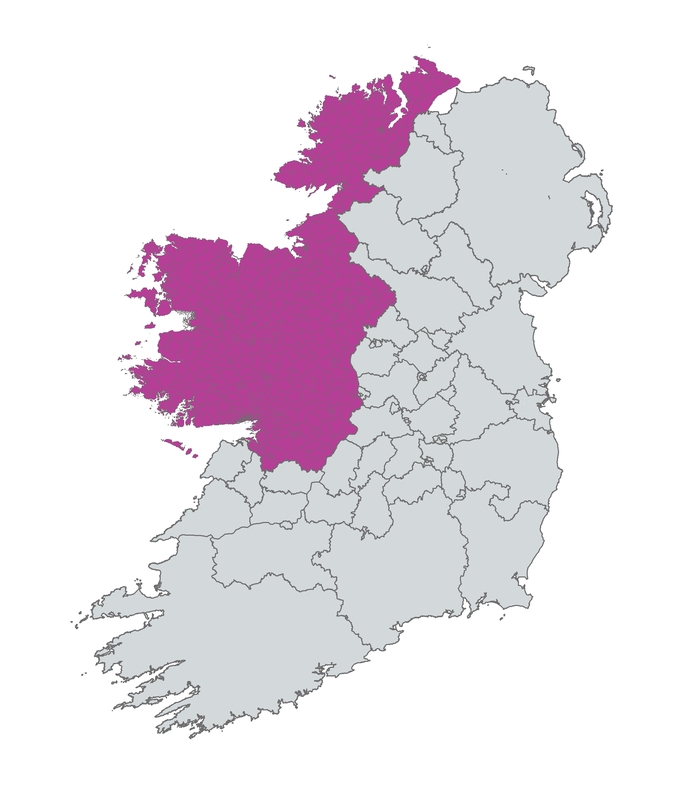 The WRM covers the whole of Ireland with a focus on Connacht and Donegal. The model is centred around Galway City and includes 695 detailed zones with travel between these zones and the rest of Ireland represented by 54 external zones. The zone structure of the WRM is shown in the images below, click on each image to see it in more detail. The model covers all surface access modes for personal travel and goods vehicles including private vehicles (taxis and cars), public transport (bus, rail, Luas, BRT, Metro), active modes (walking and cycling) and goods vehicles (light goods vehicles and heavy goods vehicles).